India is a hub for IT development and support. So it wouldn’t surprise you that India has a ton of companies that do PeopleSoft projects that include implementations, upgrade and support and maintenance. Here’s a short list of such companies, please comment if you know more companies that do PeopleSoft related projects in India and we will keep this list growing. Can you also provide some figure that shows how big PeopleSoft is in each of these companies? @ Indian IT – If you can list some, we will include them here. @ Kiran – That would be a great idea. But at this point we do not have any figures. Let’s see if can put together something soon. please share the names and contacts of the small companies having peoplesoft practise. I have company called Minsyst Consulting Pvt Ltd, Mumbai and we do have PeopleSoft team. Pl share the list of companies in and around tamilnadu having peoplesoft hrms or finance application. thanks for your info. But I find that these people are implementation or support companies. I would like to know the real end users. If possible pl provide the details. There is a Company in Lucknow named as Triangle Mind Technologies and they work for Peoplesoft related work.It is a small company ,having people around 28. Thank you for the contribution, we have included Triangle Mind to the list. provide me list of companies working on peoplesoft tools in Korea/Thailand. I had search it but i could not get the names of the companies, so it will be gratefull to you if you provide me the list as soon as possible. We do not have such a list yet. If I am able to get one, will make it available here. To the above PeopleSoft list you can add ‘Estuate’ based in Bangalore. Oracle Gold Partner. Employee strength 350+. Just added Estuate to the list. BTW, is 350 the number of PeopleSoft guys? Thanks Rakesh. The PeopleSoft number is 25.
can you include their name in the list..
Plz include its name in the list. Even i m wrking on PeopleSoft.Having an experiences of a yr…Kindly update me,in case of any opening. Thank you for the contributions, both companies have been added to the list. We can include Drivestream and 3i infotech also in the list. @prasannababu – thanks for the suggestion. These companies have now been included. @Rakesh Subhagan please add to the list Minsyst Consulting Pvt Ltd.
Butler America is having PeopleSoft practice in Hyderabad..
@Kalyan – thanks for the suggestion. Butler has been included in the list. Thank you for this comprehensive list. Can you also provide the list of companies (Non IT) that are using PeopleSoft? @Vikram – Glad to have helped! At present I do not have such a list. 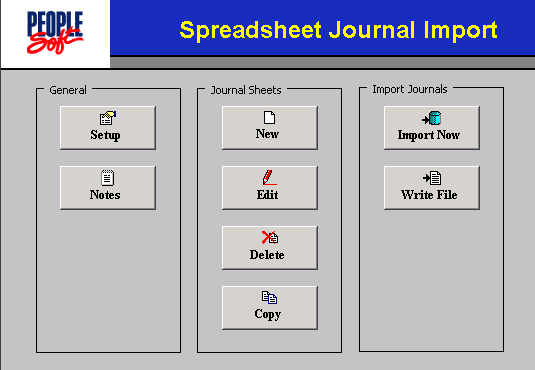 That said, I’m aware that many of the banks in India use PeopleSoft. Will try to put the names I know into a list and publish it once ready. CedarCrestone Hyd has 200+ employees and 80+ solid clients. Include it! @Rinku – thanks for the inputs. CedarCrestone has been included. Polaris has PeopleSoft practice in hyderabad, Pune, Singapore and Tampa. Thanks for the inputs; will shortly add ERP Analystys to the list. Will shortly add ADP to the list. @Sampath – Thanks for the inputs. Will list SOAIS shortly. KPMG is also into Peoplsoft Advisory practices. mcAMDOIS Tech Solution Pvt Ltd is also into Peoplesoft practices please add to the list, we are an Oracle Gold Partner. CMSS India, based out of Mumbai services clients like ICICI Bank, ICICI Lombard, ABG Group, Dainik Bhaskar Group, WNS, Sutherland in India. They have a team of around 40 resources in Peoplesoft HRMS. They are mainly into post implementation support, enhancement and customisation. Larsen & Toubro Infotech, a subsidiary of Larsen & Toubro,is a global IT solutions & services company based in Mumbai, India. 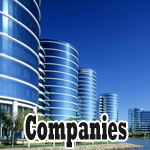 Our Company uses Peoplesoft as well as provides services to numerous companies. Our Team strength is around 200 people. I would request for a list of companies using PeopleSoft and cloud computing. Thank you. Variance Global Solutions is specialized in PeopleSoft as well. How old is this list? Can we please have an updated one? I need some of your assistance. I am currently working in hexaware Chennai as peoples soft trainee..I joined as fresher recently few months ago.I wanted to know the growth of this profile.Do I need to continue or else this technology is worth?